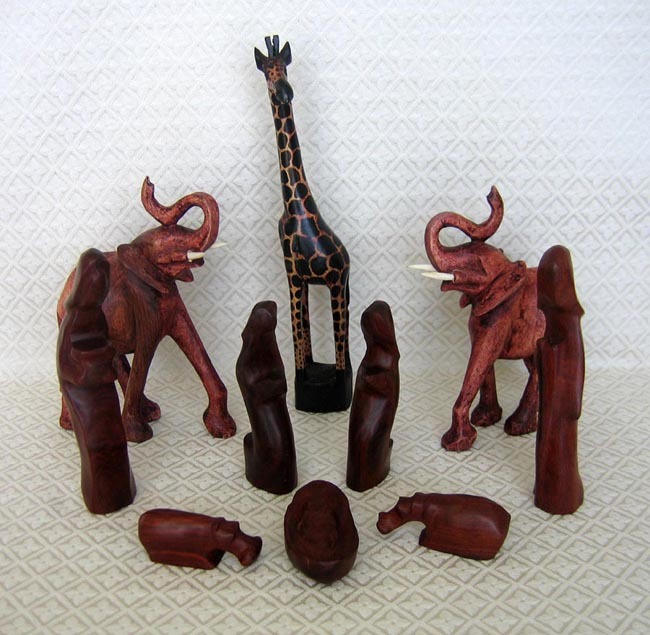 This Nativity is hand-carved from teak wood by an artisan named Joseph in the Kawabata Village, just outside Lusaka, Zambia. The carver sits under a tree all day long, chipping away at the hard wood with primitive tools. Each Nativity requires one week to complete. The scene includes the Holy Family, a shepherd, a wise man, a giraffe, two elephants, and two baby hippos. The standing shepherd measures 7.5 inches tall.